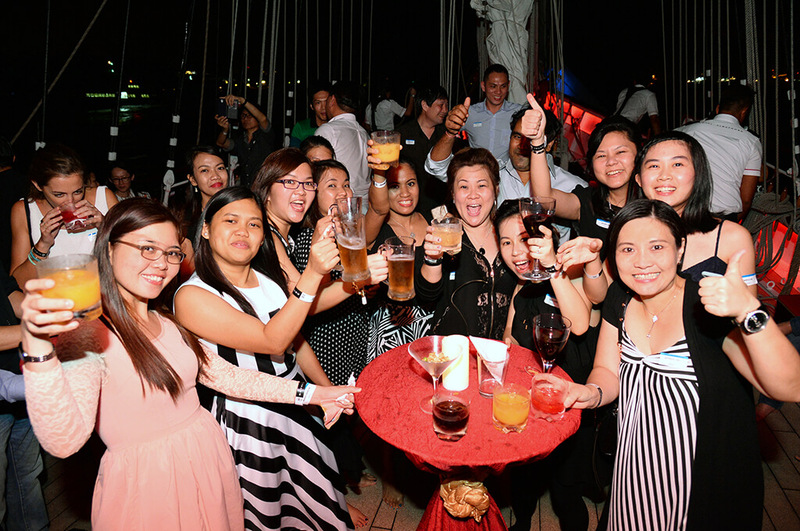 Are you looking for the best places to host corporate events in Singapore? 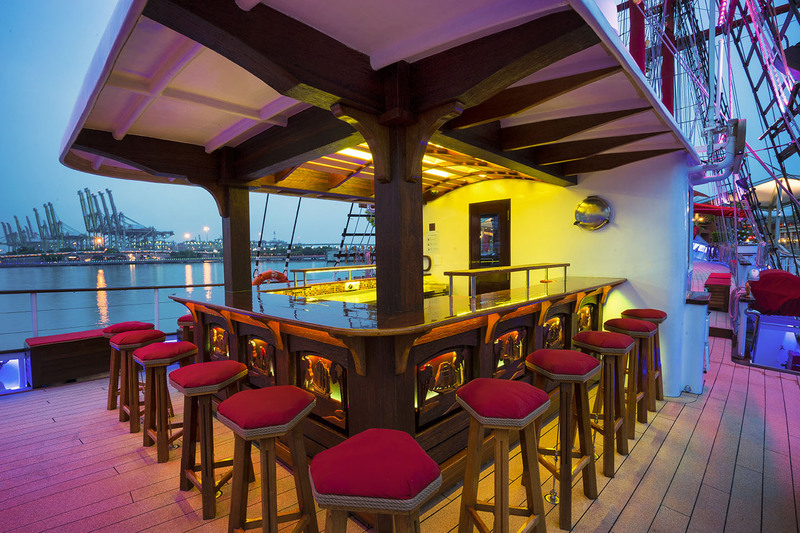 With great features onboard to ensure an unforgettable event that will leave your guests in awe, you might want to consider the Royal Albatross. Let us walk you through this corporate event venue that can host between 80 to 200 pax. For those looking for more than just space, our galley (kitchen) on deck boasts restaurant-grade equipment that will make any chef happy, including stone hearth ovens for pizzas. We have had chapels, garden lawns, colonial bungalows. But a tall ship, now that’s a rarity. 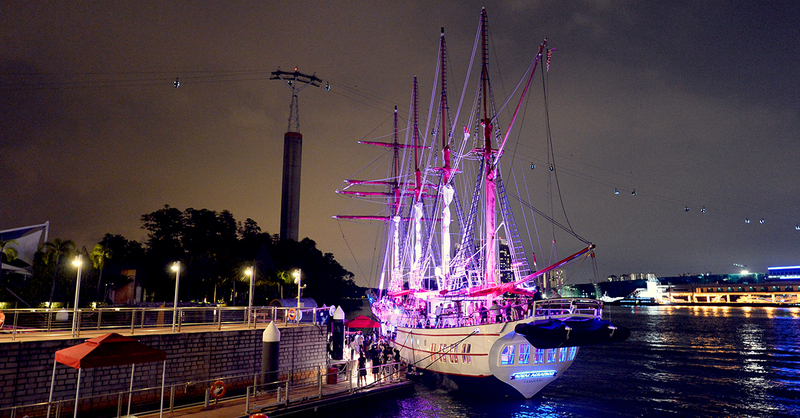 In fact, the Royal Albatross is the only working luxury tall ship in the region! The Monkey Bar is fully stocked with premium liquors and spirits, with signature cocktails you can order. Now on the top is the Monkey Island. That’s where the DJ or band can be to work their musical magic to entertain your guests for your corporate event or yacht party. Of course, there are other strategic locations you can place your entertainers too. 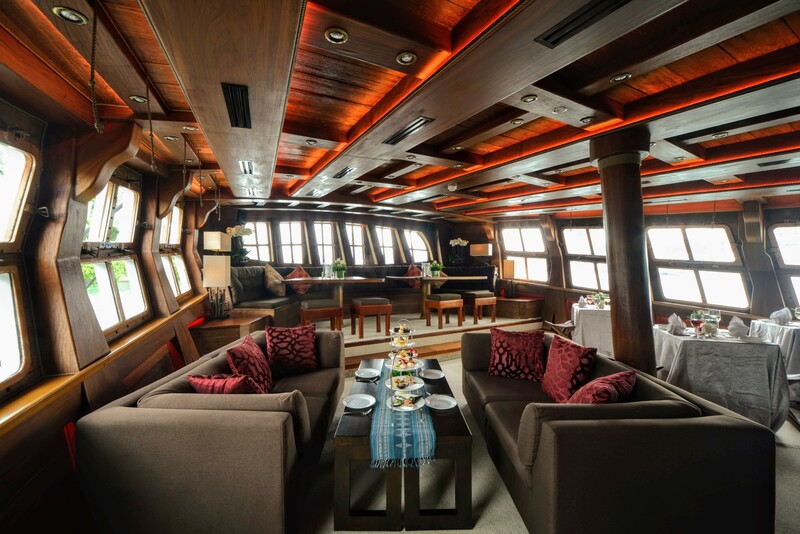 The tall ship has a wide Upper Deck and Grand Salon that can accommodate a good amount of people for dinner and dance. With the latest audio-visual systems in place, companies can even segregate different music or audio input for different areas of the ship. This means that you could have a karaoke session downstairs in the Grand Salon while having a band belt soothing tunes on the Upper Deck above. You can even put a band on the roof of the Monkey Bar as we mentioned earlier just for the aesthetics of it or to give guests more room to roam (you can host a party with 100 pax or more). The Well Deck makes a great area for buffet spreads. Located right outside the galley, you can be assured that food will be served piping hot, straight from the chef’s stove. Guests are free to mingle at the various places around the ship, to admire the view, or steal away to the fully air-conditioned Grand Salon to relax at the comfortable sofas. Your buffet can be catered to various cuisine you might prefer for your different clients and guests. Impressing a client will be simple at the Royal Albatross. The 60,000 over mood lightings that can be customisable into 512 RGB colours. Besides that, our audiovisual systems can easily be linked to different instruments and mic inputs for bands and performers to entertain your guests. 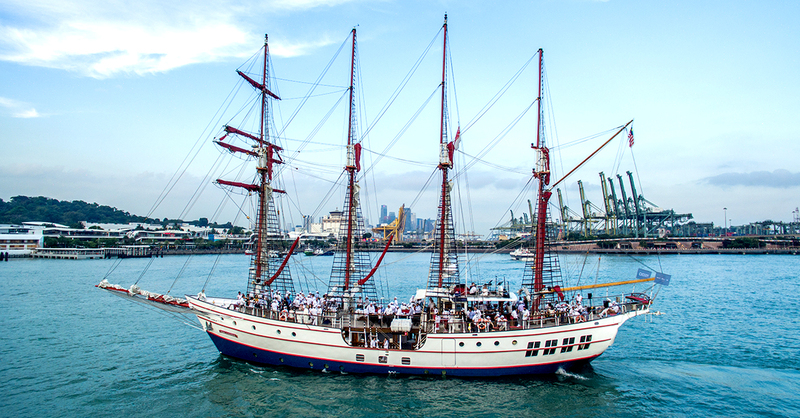 It is certainly a well-balanced harmony between a traditional sailing ship coupled with the latest technology for corporate event hosting and maritime navigation. 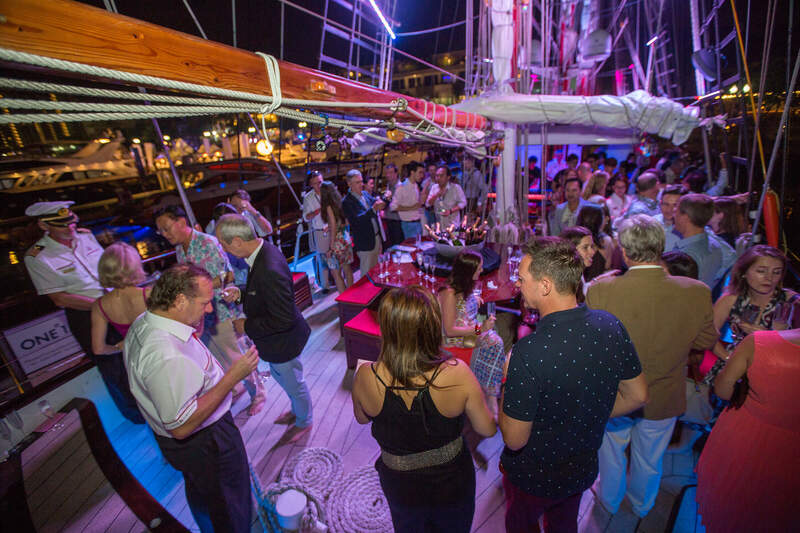 If you are looking to host a lavish private yacht party, what other better way than to host it on a unique tall ship. An exclusive venue that few others can enjoy, be sure to speak to our representatives who can help tailor our ship to your needs. Have a look at our corporate event venue charter page or you can send your enquiry below our way!